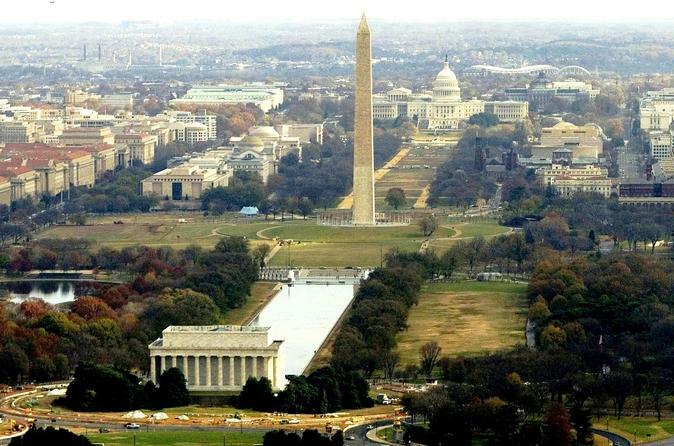 See all of Washington DC in 8 hours! See the INSIDE of the U.S. Capitol Building and the exterior of the President's home, The White House (Yes! The President really lives here!). Included with your tour is entry into the National Archives where you will see the ORIGINAL Declaration of Independence, Constitution, and Bill of Rights. You get your very own private SUV for up to 6 people, and your personal Tour Professional there every step of the way to give you history and to answer any questions you may have as well. There is a Continental Breakfast, and Lunch is included along with a beautiful boat ride along the Potomac River (seasonal and weather permitting). Start your day by being picked up in your very own private SUV for up to 6 people by your personal Tour Professional. He/She will arrive with warm bagels and cream cheese, fresh fruit, bottled water, orange juice, and apple juice. You will enjoy your breakfast en route, to the United States Capitol Building. You'll go inside and have a guided tour of the building. You will see the Crypt, the beautiful Rotunda, and also Statuary Hall (The Senate and House galleries are open to visitors whenever either legislative body is in session, however the galleries are not included as part of the U.S. Capitol tour. Passes are required to enter either gallery at any time. Visitors may obtain gallery passes from the offices of their Senators or Representative) . Upon leaving the U.S. Capitol Building your next stop will be a White House photo opportunity. Then you are on to the National Mall. Your first stop will be the World War II Memorial, then it will be over to see the Thomas Jefferson Memorial. Next, is the Franklin Delano Roosevelt Memorial, then a short walk along the Tidal Basin to see the Martin Luther King Memorial. Then it's lunch time! You will have your peaceful boat ride up the Potomac River and you will have lunch on the boat (weather permitting). After lunch and your boat ride, we see three memorials at one stop, the Vietnam War Memorial, Abraham Lincoln Memorial, and the Korean War Memorial. Then it's a short trip to Virginia to see the Iwo Jima (Marine Corps) Memorial. We head back into Washington DC and finish up your day at the National Archives, where you will see the ORIGINAL Declaration of Independence, Constitution, and the Bill of Rights. Your Tour Professional will then drop you off back at your hotel. We take care of it all!